Vitamin C or simply Ascorbate is the most effective and safe nutrient according to experts. As an important factor in the production of collagen, it is useful for all types of wound healing such as cuts, broken bones, burns and also surgical wounds; it is taken orally and helps wounds to heal faster. This single vitamin is also known as a good antioxidant and it is used for the metabolism of protein. It can also prevent skin wrinkling, prenatal health problems, cardiovascular disease and eye disease. Where Does Vitamin C Come From? Vitamin C can be obtained from many vegetables and fruits such as kiwi, peppers, guavas, kale, broccoli, berries, orange, tomatoes, peas and papaya. Vitamin C is essential for improved body functions, it is a natural antihistamine which prevents histamine release and increases the histamine detoxification. According to a study conducted in 1992, healthy adults taking 2 grams of vitamin C everyday noticed reduction in the blood histamine levels by 38% in just a week. Low concentrations of vitamin C serum have been associated with increased serum histamine levels. Because Vitamin C is an antioxidant, it helps to prevent cataracts. To deal with all the free radicals, the eye lens requires plenty of vitamin C, it remains concentrated in the lens, so it is important to have lot of this vitamin inside your body to make it easier for your body to pull this vitamin out from your blood and take it into the lens to protect it from damage. Vitamin C is generally safe, but taking it high amounts can cause diarrhea and stomach upset. Adults should not exceed 2000 mg/day. High doses of Vitamin C have an adverse effect on exercise performance too. The recommended daily intake of vitamin C for adults is 75 mg for women and 90 mg for men, person who smokes and those indulged in rigorous training requires higher amount of vitamin C because of increased production of free radical. Doses of 200 mg vitamin C taken two times in a day have been found effective in reducing damage caused by free radical during exercise. This is a recommended dose of vitamin C and it can be taken with food. 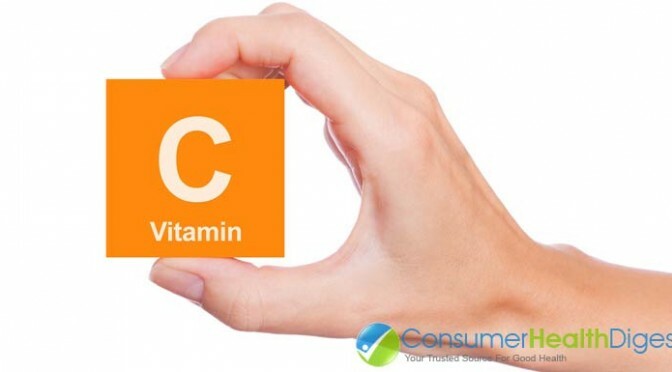 Vitamin C usually comes in the form of tablets which contain sodium Ascorbate, ascorbic acid and other derivatives of vitamin C. Antioxidant supplements, protein bars, multivitamins, pre-workout supplements and weight gainers also contain this vitamin.